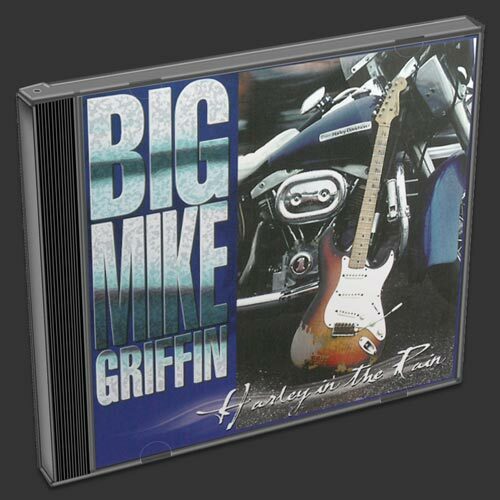 Towering overhead at 6'10", you could easily make a case that there's no bigger blues musician than Big Mike Griffin. Big Mike comes from a proud tradition of journeyman blues musicians. He has performed on stages across North America and Europe; every place from juke joints and roadhouses to Turner Field and Riverfront Stadium. Big Mike has also been a biker for more than 30 years. His love of both music and motorcycles spawned a new type of Motormusic that has been widely accepted as a new and exciting form of Blues/Rock. Born and raised in Lawton, Oklahoma, Big Mike was introduced to music at an early age. "My Dad played so there was always a guitar or fiddle laying around the house. It seems like I've been playing as long as I've been alive." Later, he began listening to blues artists like T-Bone Walker, Paul Butterfield, and Mike Bloomfield. His blues education was further enhanced by late night highway trips to Texas to catch legends like Freddie King, Albert King, and Albert Collins. Big Mike started his career as a professional musician in the clubs and honky tonks in southern Oklahoma and north Texas. He haunted the blues clubs in Wichita Falls and the Dallas- Fort worth area early on, as the blues music that came from that area really spoke to him. He formed friendships with many great bluesmen of the area. Jimmy Vaughn and his brother Stevie were acquaintances as well as peers. Blues was his first love musically, but to stay working in the music business, he also played country music. In the late 70's he formed the Broken Spoke band. The band's success led him to share the stage with such artists as Hank Williams Jr., George Strait, John Connely, Johnny Rodriguez, Barbra Fairchild and David Frizzell to name just a few. His relationship with those artists ultimately led to his relocation to Nashville. At that time, through his good friend, Warren Haynes, Mike was hired by David Allan Coe to play guitar in his band. He toured with Waylon Jennings, Willie Nelson, George Jones and Neal Young, just to name a few. At the end of his tenure with Mr.Coe, Mike left to form a blues band. He was signed to Malaco records in 1992 and released three CD's on that label. In 1997, long time friend and fellow biker John Tubbs partnered with Mike to form Chrome Link Records, which is based in Lawton, with an office in Nashville. They currently have 8 titles on the label. 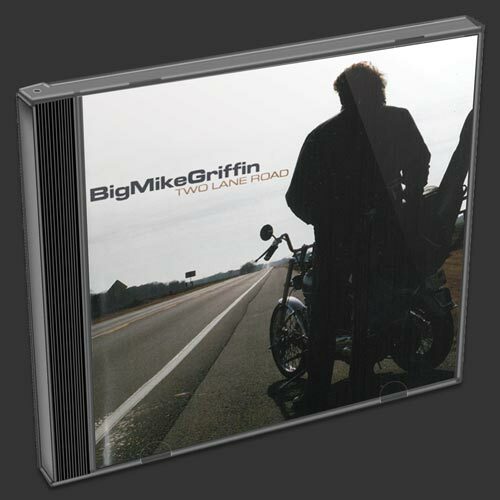 In 2008, Big Mike starred in the award-winning documentary "Iron City Blues", which chronicled his creation of a blues song about the most notorious town in the South. This film received rave reviews in the press, from Biker Magazine, to the European edition of Easy Riders Magazine. 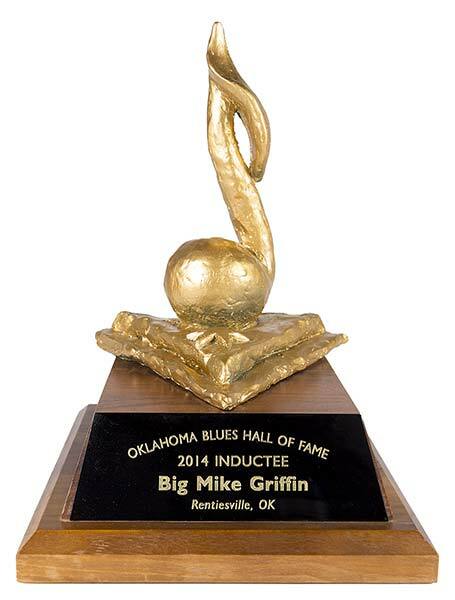 In 2014, Big Mike was inducted into the Oklahoma Blues Hall of Fame. Today, he continues to tour the country, sharing his unique form of the blues with long- time friends and a new generation of fans. Back on the Streets Again (1992) was Mike's debut album. Mike Griffin and the Unknown Blues Band appeared with such great names as Ray Charles, Lonnie Mack, and Clarence "Gatemouth" Brown. 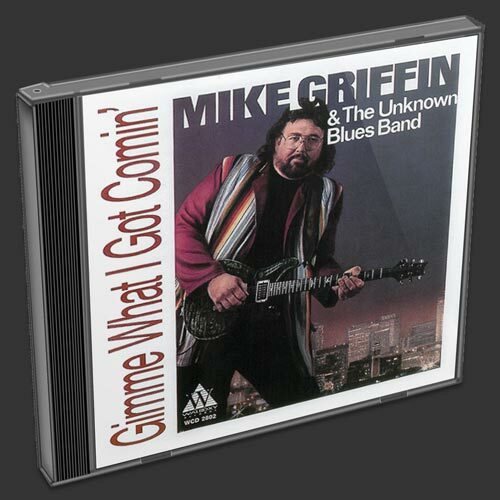 Gimme What I Got Comin' (1993) brought the band further acclaim as a solid force on the blues scene. The album grabbed the attention of blues fans, critics, and DJs and snagged a high-ranking spot on Living Blues Magazine's national radio chart. Fifth of Whiskey, Case of the Blues, a song from the album, was nominated as Song Of The Year for the 1994 W.C. Handy Awards. Major touring dates on both U.S. coasts and Canada, as well as Europe, served as a catalyst to broaden the fan base for the band. Griffin also played on the month-long "Malaco Europe '93" musical extravaganza, where he shared the stage with legends like Little Milton, Denise LaSalle, and Latimore. He then worked with Artie "Blues Boy" White, laying down tracks for his "Different Shades of Blue" release, as well as providing explosive guitar work on James Peterson's "Don't Let The Devil Ride" album. Sittin' Here With Nothing (1996) was a refreshingly contemporary approach to the time-honored tradition of the blues. 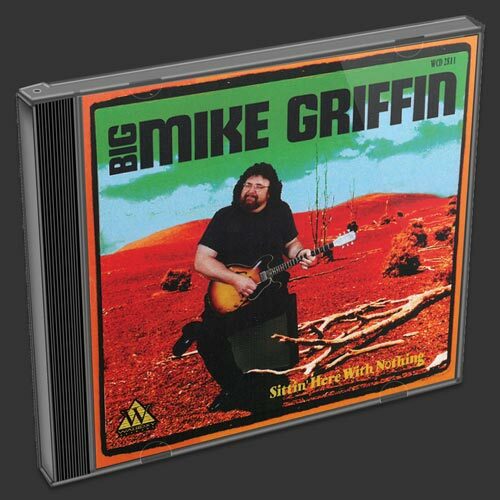 From start to finish, it captures the incredible power of Mike Griffin's brilliant guitar work, smoky vocals and finely tuned songwriting talents. "He plays a Les Paul guitar, but it looks like a ukulele in his hands," says Claypool, who also is on the board of directors of the Beale Street Blues Society. "We've been trying for a long time to find him a T-shirt big enough to put the Blues Society logo on. I know he wears a 5X shirt. "He's a good guitarist, and he's got a good voice," Claypool says. "And of course, he's got that great stage presence." Sittin' Here With Nothing features five original compositions, a couple of Little Milton Campbell songs and a few others from the Waldoxy publishing arm. 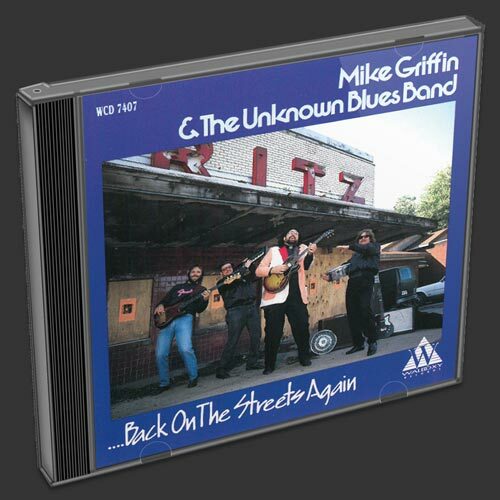 Griffin receives great backup from the Unknown Blues Band, which features Clayton Ivey on piano and Hammond organ, David Hood on bass and Memphian Pat O'Connor on drums. 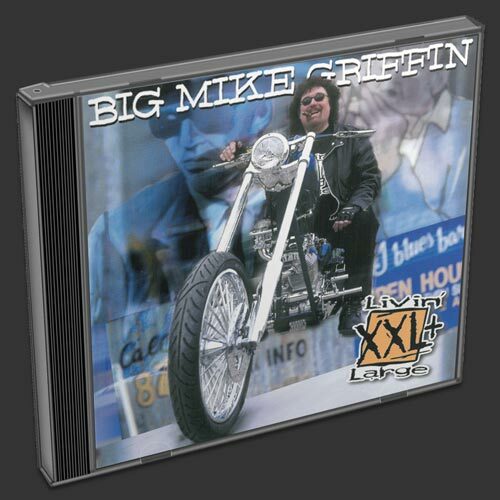 Harley in the Rain (1997) is Big Mike's debut album on Chrome Link Records and was the first album he made just for Harley Davidson fans. Mike had always wanted to do a biker's project, but it was the driving force of his brother and the stimulation of his own gang that finally got the ball rollin'. 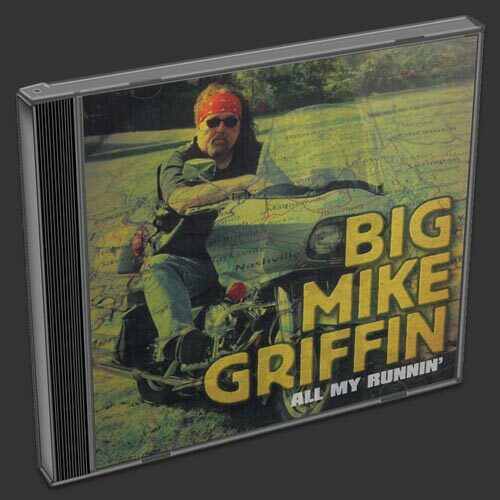 Griffin recorded a well-balanced mixture of originals and all-time classics like Lowell George's "Willin'" and Alain Toussaint's "Get Out Of My Life Woman". With a no-nonsense production and a strict four piece line-up he offers the 10 numbers in a direct muscular guitar sound that is equally suited to blues, soul, rock and funk. "Harley in the Rain" marks the stunning crossover release of the artist Big Mike Griffin that truly confirms him as a major talent on the current scene. 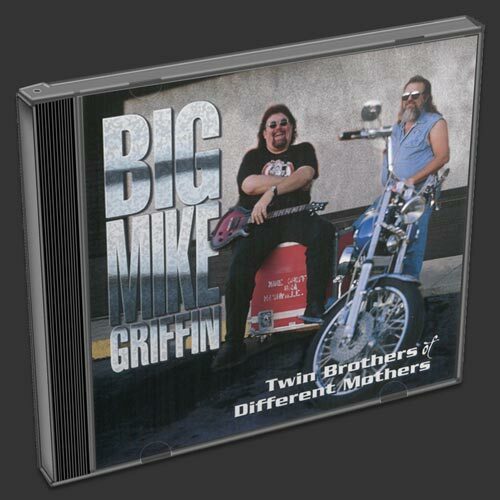 Twin Brothers of Different Mothers (2000) features the hard hitting biker anthem "Twin Brothers", and the mournful "Love will never die". One of our biggest sellers!! Livin' Large (2001) is the third release from Chrome Link Records featuring a mix of original and standard blues tunes as well as a few surprises. Buddy Miles( Jimmy Hendrix, the Electric Flag, Buddy Miles Express) makes a guest appearance on "Down in Hollywood", "Blues for Mr. B" and the Albert King standard "Pretty Woman". 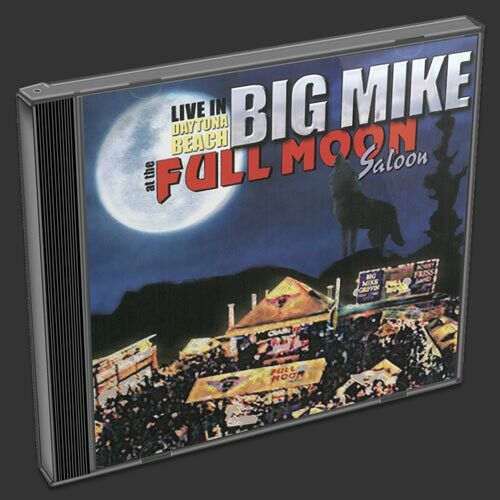 Live at the Full Moon Saloon (2002) is the live show that was recorded during Bike Week. Includes the hits "Cool Guitar" and "I'd Rather Go Blind" Power trio on steroids!! One of our best sellers. Two Lane Road (2004) takes a look back at Big Mike's Oklahoma roots. "Two Lane road" and "The 62" are based on true events and give a nod to the wild west that Big Mike grew up in. Freddie Kings "Pack it up" is the stellar cut that features Killer guitar and rhythm section featuring Funk Brothers bassist Bob Babbitt. 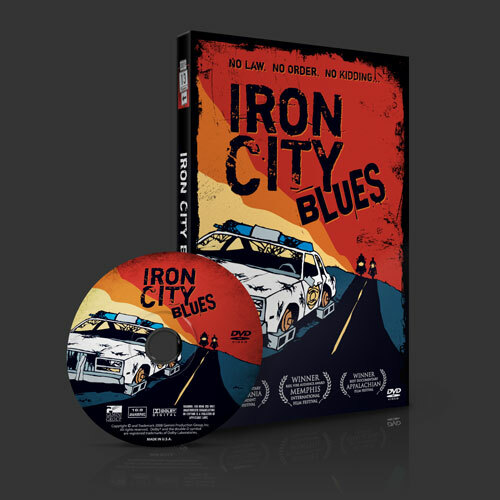 Iron City Blues (2008) is the award-winning documentary featuring Big Mike as well as an original soundtrack written by Griffin. Blues music and a lawless Tennessee town. Does it get any better than that? You better watch your back!!!! 60 minutes and a bonus Soundtrack CD is included. All My Runnin' (2008) features the title cut written by Big Mike's childhood friend, the late Byrd Taulbee. The lyrics were passed on to Mike after Byrd's death by a mutual friend and Big Mike recorded the song in his memory. Additional tracks include "Iron City Blues" and "Shoal Creek", which are from, and inspired by, the award-winning documentary "Iron City Blues". A "must have" for Big Mike fans!! 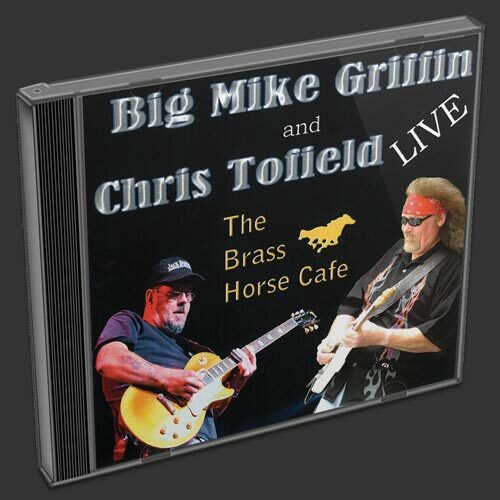 Big Mike Griffin and Chris Tofield Live (2013) Recorded live at the world-famous Brass Horse Cafe, in Barkhamsted, CT, Big Mike joins with his friend and legendary guitarist Chris Tofield to play the blues and rock the house!